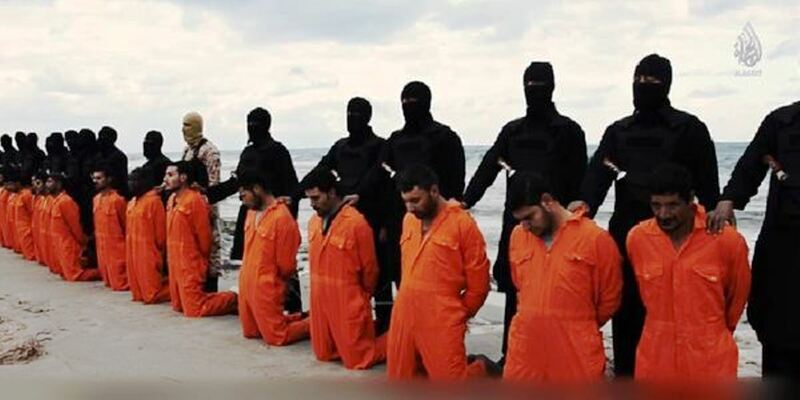 The persecution of Christians around the world, but especially in the Muslim world, has reached an all-time high—with 2016 being the “worst year yet,” according to Open Doors, which recently released its annual ranking of the top 50 countries where Christians face the most persecution. The nation where the most violent and sexual attacks on Christians take place—Muslim majority Pakistan—rose to the number four spot. While everything points to Islam—or “Islamic extremism,” as Open Doors puts it—as the chief factor behind the global persecution of Christians, what does one make of the fact that North Korea continues to rank as the number one worst persecutor of Christians? Surely this suggests that Christian persecution is not intrinsic to the Islamic world but is rather a product of repressive regimes and other socio-cultural factors? Here we come to some critically important but rarely acknowledged distinctions. While Christians are indeed suffering extreme persecution in North Korea, something as simple as overthrowing Kim Jong-un’s regime could lead to a quick halt to that persecution—just as the fall of Communist Soviet Union saw the end of religious persecution. The vibrancy of Christianity in South Korea, a nation virtually identical in ethnicity, culture, and language to its northern counterpart, is suggestive of what may be in store—and thus creates paranoia for—North Korea. In the Islamic world, however, a similar scenario would not alleviate the sufferings of Christians by an iota. Quite the opposite; where dictators fall (often thanks to U.S. intervention)—Saddam in Iraq, Qaddafi in Libya, and attempts against Assad in Syria—Christian persecution dramatically rises. Today Iraq is the seventh worst nation in the world in which to be Christian, Syria sixth, and Libya 11. A decade ago under the “evil” dictators, Iraq was ranked 32, Syria 47, and Libya 22. The reason for this is that Muslim persecution of Christians is perennial, existential, and far transcends this or that regime or ruler. It is part and parcel of the history, doctrines, and socio-political makeup of Islam—hence its tenacity; hence its ubiquity. To further understand the differences between temporal and existential persecution, consider Russia. Under communism, its own Christians were persecuted; yet today, after the fall of the USSR, Russia is again reclaiming its Orthodox Christian heritage. Time, however, is not on the side of Christians living amid Muslims; quite the opposite. In short, Muslim persecution of Christians exists in 40 nations today as part of a continuum—or “tradition”—that started nearly 14 centuries ago. As I document in Crucified Again: Exposing Islam’s New War on Christians, the very same patterns of Christian persecution prevalent throughout the Muslim world today are often identical to those from centuries past. A final consideration: North Korea, the one non-Muslim nation making the top ten worst persecutors list, is governed by what is widely seen as an unbalanced megalomaniac; conversely, the other nine nations are not dominated by any “cults-of-personalities” and are variously governed: including through parliamentarian democracies (Iraq), parliamentarian republics (Pakistan and Somalia), one-party or presidential republics (Eritrea, Sudan and Syria), Islamic republics (Afghanistan and Iran). Looking at the other Muslim nations that make the top 50 persecutors’ list and even more forms of governments proliferate, for example transitional/disputed governments (Libya #11) and monarchies (Saudi Arabia #14). Thus, long after North Korea’s psychotic Kim Jong-un has gone the way of the dodo, tens of millions of Christians and other “infidels” will continue to suffer extreme persecution, till what began in the seventh century reaches fruition and the entire Islamic world becomes “infidel” free. Confronting this discomforting fact is the first real step to alleviating the sufferings of the overwhelming majority of Christians around the world; for seldom can anything be fixed without first acknowledging the root of the problem.